Beating all other European airlines, Ryanair retains its number one spot for on-time performance. Together with their expert management and efficient staff, you can relax into your flight, knowing that you’ll arrive at your destination on time. 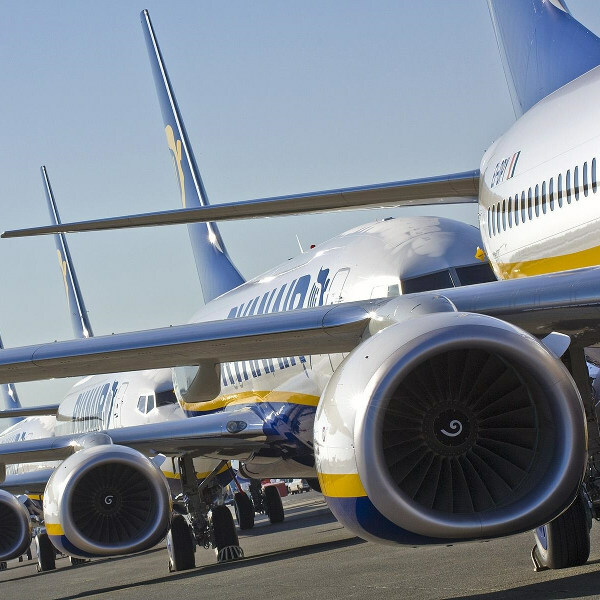 With an average aircraft age of 6.5 years, Ryanair’s growing young fleet is engineered to be environmentally friendly. They are said to consume two-thirds less fuel per passenger than some of their competitors! 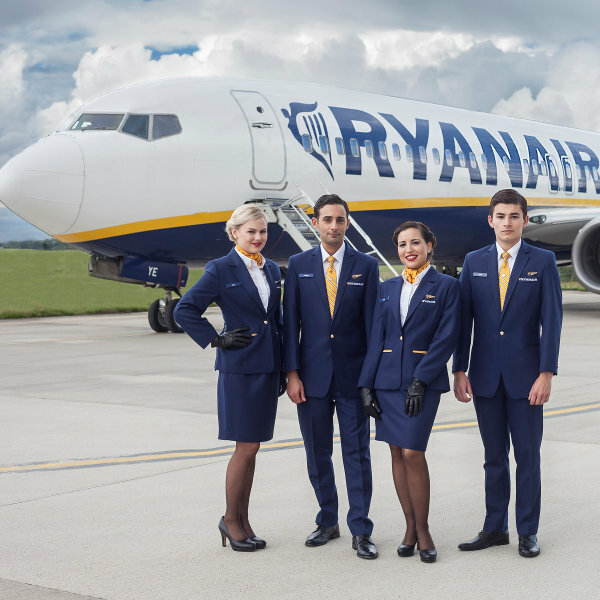 Ryanair operates daily flights to over 200 airports in 33 countries around the world. A major player in the European market, the airline also expands its routes to North Africa and the Middle East. Since its first flight taking off in July 1985, Ryanair has expanded into a household name throughout Europe, carrying an average of 129 million passengers to over 200 destinations per year! This Irish low-cost airline is considered an industry leader for its impeccable safety standards and on-time performance. From its two hub airports in London-Stansted and Dublin, Ryanair operates flights to 33 countries across Europe, North Africa, and the Middle East. Its eco-friendly fleet of 400 Boeing 737s is rated the cleanest and most fuel-efficient among its competitors. So, rest assured, not only are you likely to land at your destination right on time, but you can feel less guilty about the light carbon emissions along the way! Book Ryanair flights to London, Dublin, Barcelona and other exciting places! Passengers who have not purchased a Priority & 2 Cabin Bags ticket are only allowed to carry one small bag on board. If you have a second bag under 10kg, this will be tagged as checked luggage, free of charge. The first bag may not exceed 35x20x20 cm, while the second bag’s dimensions may not exceed 55x40x20 cm. If you require 2 cabin bags on board, you’ll need to purchase a Priority & 2 Cabin Bags ticket, which not only guarantees you 2 pieces of carry-on luggage, but also priority access on board. Family Plus ticket holders have a 2x20kg checked baggage allowance, as well as 2 cabin bags. Flexi Plus ticket holders are permitted 1 checked bag of 20kg, as well as 2 cabin bags. 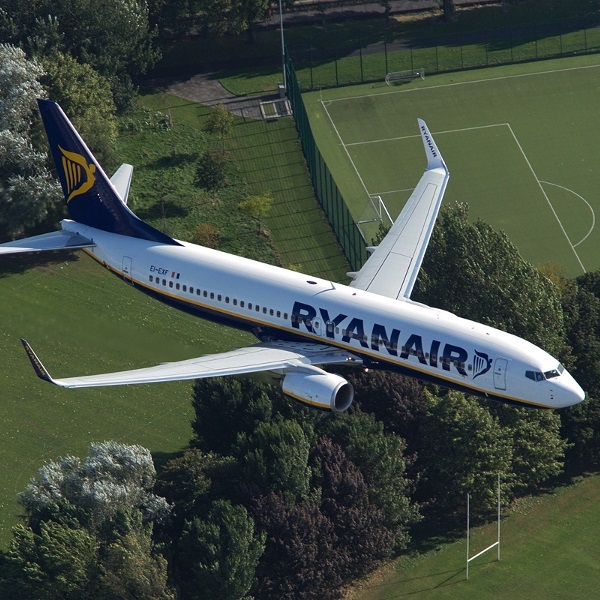 Priority & 2 Cabin Bags add-ons may be purchased via the Ryanair App up to 30 minutes before flight departure. Ryanair does not have an airport check-in facility. Passengers are required to check in online. If you do not present your boarding pass at the airport, you will be charged a re-issuing fee. Online check-in with Ryanair is really simple with their step-by-step guide. Check-in is available from 4 days to 2 hours before departure; if you have a reserved seat you can check in 30 days ahead of time. If you have 2 flights with Ryanair 15 days apart, you can check in for both flights at the same time. Alternatively, you can download the Ryanair App and check in from wherever you are. Travellers can reserve their favourite seats online. Choose between extra legroom seats (from £15), front priority seats (from £13), or standard seats (from £2). Parents travelling with children are eligible for free reserved seats for up to 4 children, aged between 2 and 12 years old. The Plus package is a value-for-money option, offering passengers a reserved standard seat, Priority & 2 Cabin Bags pass, as well as one 20kg checked bag. If you’re feeling peckish, Ryanair has a wide range of light meals and refreshments, including beers, wines and spirits. These are all available for purchase on board. Meals can be pre-booked no later than 48 hours before scheduled flight departure. Ryanair does allow passengers to bring their own food on board, except for hot drinks and alcohol. Passengers may use their own electronic items, like tablets, E-readers, and MP3 players, during the flight. The airline also flies to multiple cities in Morocco, and Tel Aviv and Eilat in Israel.